Marine Finance is known by various names ( boat finance, marine mortgage, yacht finance, marine loan or even asset finance) and can be obtained from a variety of general finance companies or some specialist agencies. This section will give an insight into the Marine Finance and hopefully answer some of the questions you may have. What types of Marine Finance are Available? Financing the purchase of a boat is generally accomplished via either a marine mortgage which is secured on the boat, or via an un-secured loan. The former involves a charge taken over the vessel, whereas the latter does not involve a charge on the boat. Note that interest rates associated with Marine finance are normally higher than rates that could be obtained for other borrowing. With a Marine Mortgage, a charge is made on the boat, in a similar way to a mortgage on your property. No security is used against your home - the mortgage is purely on your boat. This tends to be used for boats where a minimum amount of finance of, say £10,000 is required, and this can normally be up to 90% of the value of the boat. 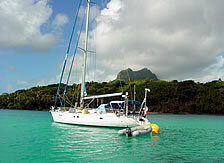 Your boat is normally required to have a survey and valuation and must be insured. Your insurers must know of the mortgage held on the boat. A Marine Loan is ideal for the purchase of smaller boats, refitting, or purchasing extra equipment. What Can Marine Finance be Used For? Boat Finance, especially a marine mortgage must be used against the purchase of a boat, though this could be a sailing boat, speed boat, motor boat or cruiser. 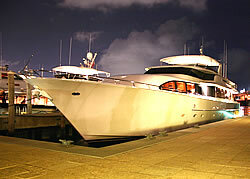 Most lenders will also arrange boat finance for refitting or extra equipment purchases. Is a Survey Needed? How Much Will a Boat Survey Cost? A survey is carried out by a qualified surveyor and gives you reassurance as the condition and approximate valuation of your boat. This is very important as you could be spending thousands of pounds on your investment and you need to make sure that it is in the condition provided by the current owner. Most marine finance companies will insist you have a survey and valuation carried out and will often provide a list of their approved surveyors. Costs of surveys start from approximately £200 but go up from there depending on the type and size of boat being purchased. See the section on Boat Surveys on this site for more information. Will Boat Insurance be Required? Most marine finance companies will insist you insure your boat, especially if you have chosen to finance the purchase using a marine mortgage. This is to protect your investment (and therefore their investment) against damage, theft or sinking etc. Finance companies will have a list of recommend insurers, but you can choose to use another insurer as long as the company is recognised by the finance company. Registration of your new vessel is normally required by finance companies, particularly if you are going to be obtaining finance through a marine mortgage. There are two main methods of registration. 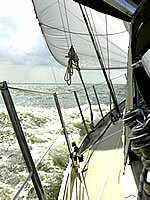 Full Registration of a boat, whether it be a sail boat or motor boat, gives the owner absolute title of ownership. providing the best possible protection for your investment. A Certificate of Registry is issued by the Registry of Shipping and Seament. Registration is a requirement of most countries and with it your boat can be used as security against a marine mortgage. Most finance companies will help with the registration of your new or used boat. The Small Ships Register is administered by the Maritime & Coastguard Agency (MCA), which is an Executive Agency of the Department for Transport. However, some finance companies will not accept this type of registry as full proof of ownership and therefore will not offer a marine mortgage on such a registry. Barclays Bank have a dedicated service providing Marine Finance for those of you wishing to buy your dream boat whether it be for yachts, powerboats or barges. Bank of Scotland have a dedicated service for Marine Mortgages and Boat Loans. Their website provides a cost calculator to either see how much a particular boat loan will cost per month, or to see what you can afford if you have a monthly budget in mind. Lombard are one of the most popular providers of Marine Mortgages. They can provide finance for new and used boats, from sailing yachts and speedboats to motor cruisers, and have no penalties for making lump sum payments.